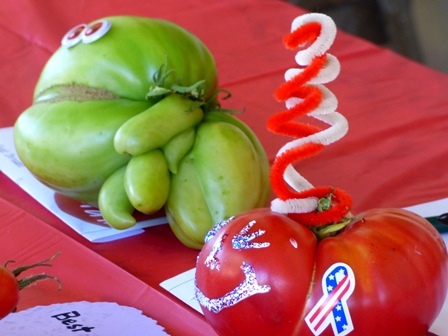 The Annual September Tomato Fest celebrates our local farmers' and gardeners' abundance of ripe tomatoes and our local community. 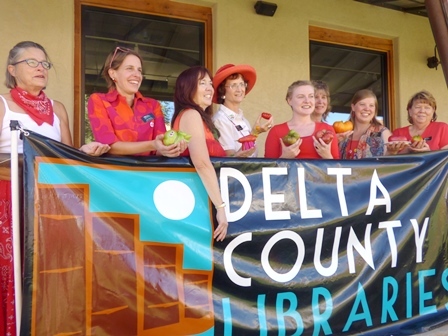 Delta County Libraries and Librarians host the Tomato Fest with: tomato tastings, tomato contests with local judges, an art contest for kids, tomato Haiku contest, amazing tomatoes for sale as well as local food venders, live pepper roasting, and music too. Call Sarah at the Hotchkiss Library, 970.399.7781, for information.